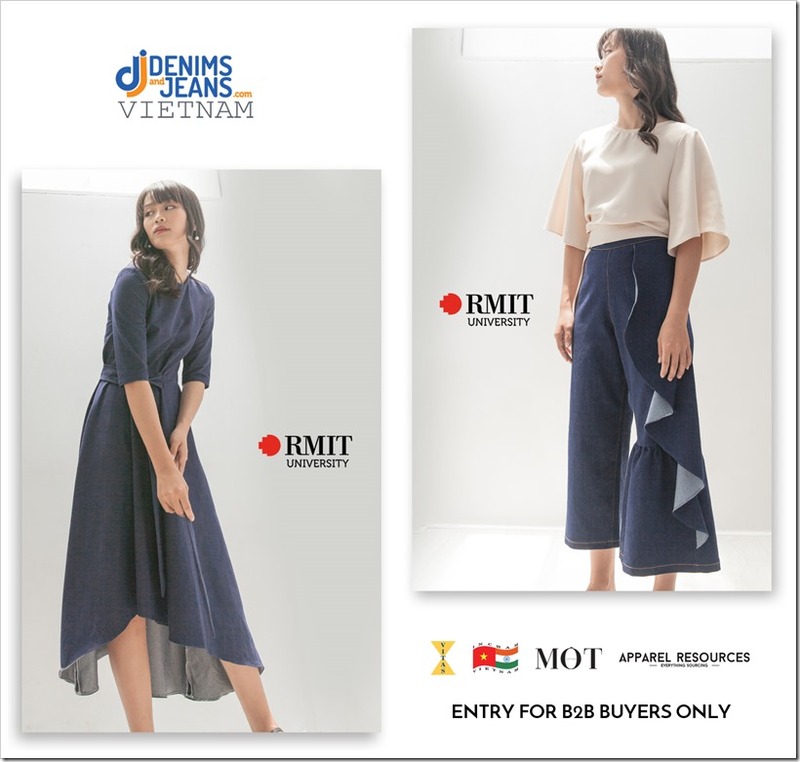 Denimsandjeans Vietnam brings up their 3rd edition at Vietnam on June 27-28 . 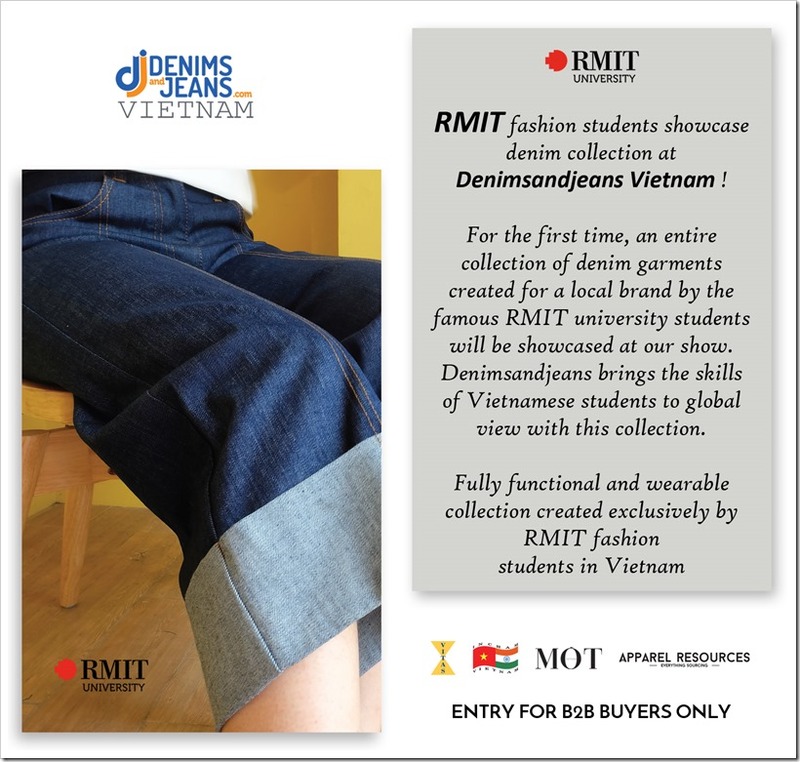 In a first, a denim collection of students from RMIT university will be displayed at the show. 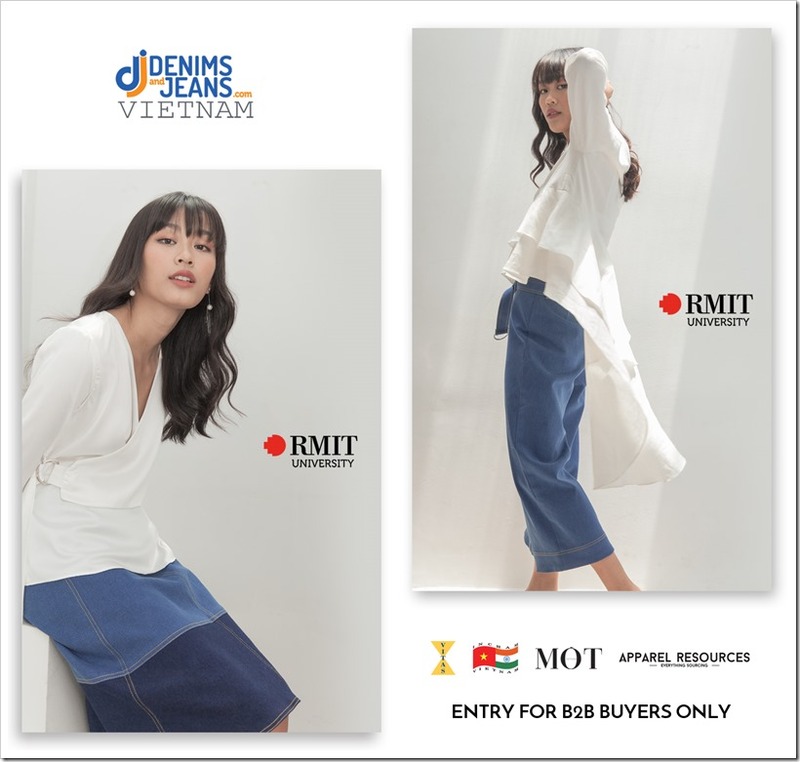 RMIT is one of the oldest and most renowned universities of Australia with their branches in Vietnam and other countries. 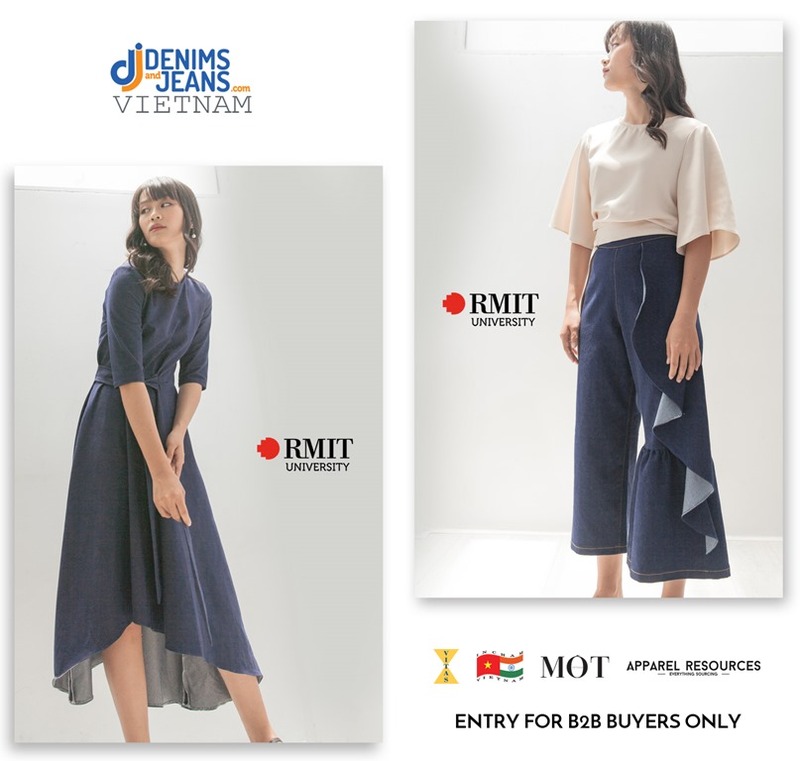 The fully functional and wearable collection by the students of RMIT will be displayed at the Trend Zone along with the Trend Area Garments of the show exhibitors. Herebelow is a small teaser of the collection . 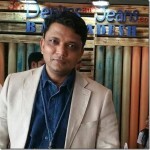 Visit the show to see the complete collection ! 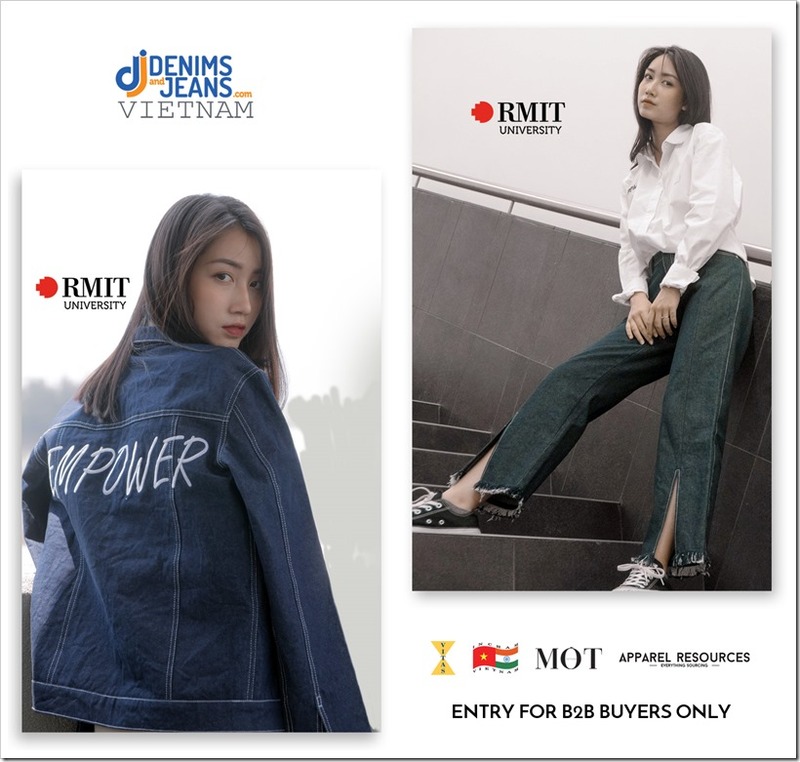 This is the first time an entire collection of denim garments created for a local brand by RMIT Vietnam students will be showcased. 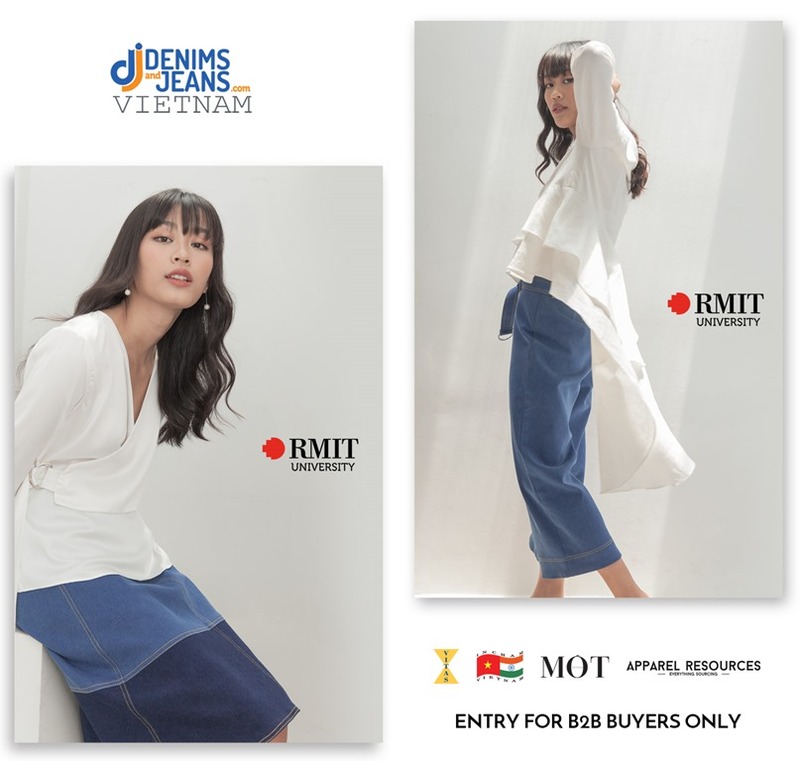 Denimsandjeans brings the skills of Vietnamese students to global audience with this collection. 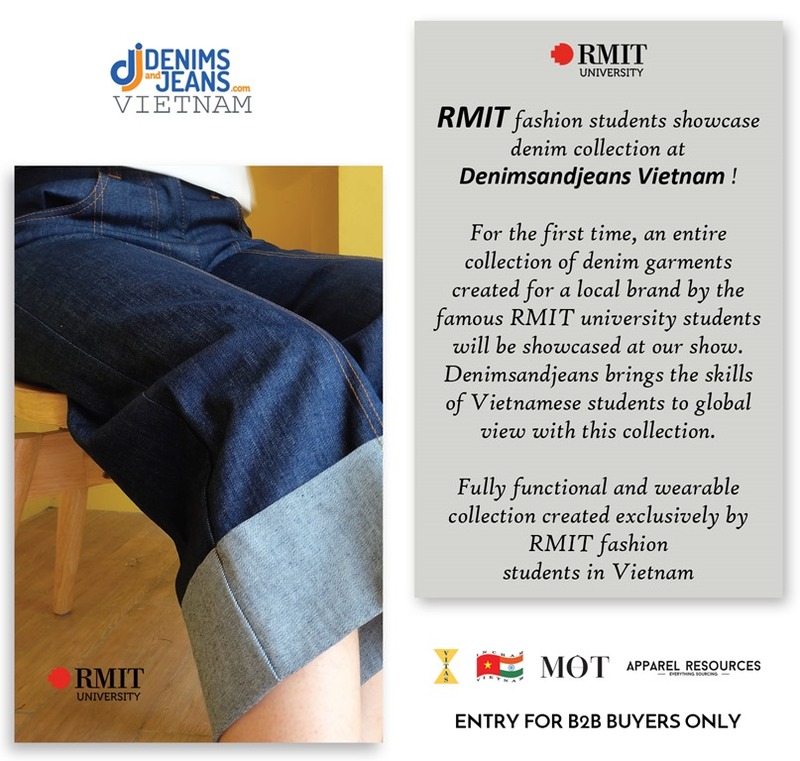 The University Students are going to showcase their collections under four categories. 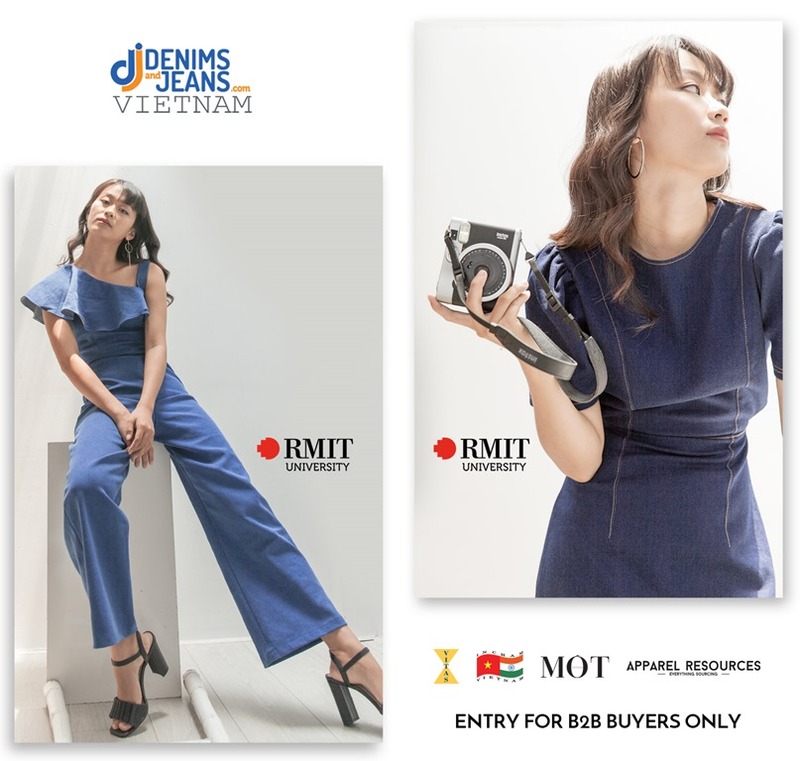 RMIT University Vietnam is the Asian campus of Melbourne-based RMIT University. 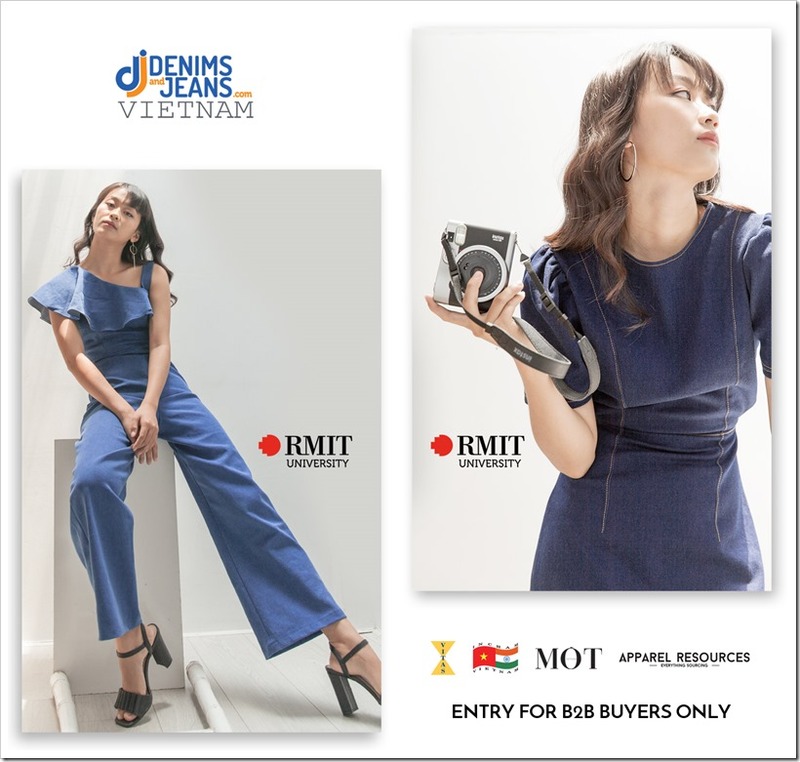 Starting with just over 30 students in 2001 in Ho Chi Minh City, and then in Hanoi in 2004, RMIT Vietnam now boasts a dynamic student body of over 6,000 in both campuses. 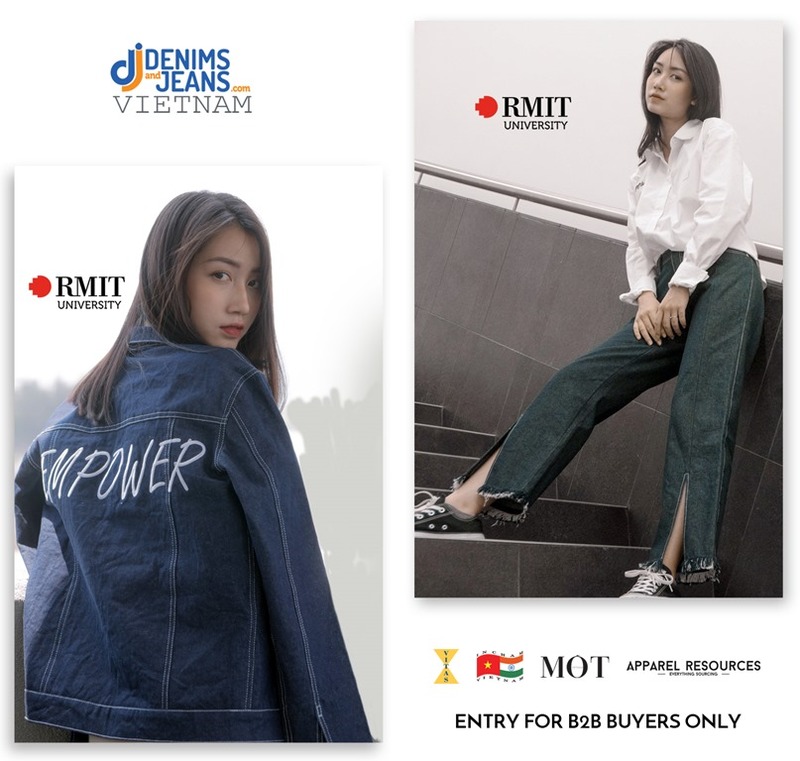 RMIT Vietnam offers programs in the business, technology, and creative areas, and boasts an impressive range of extra-curricular activities that encourage students to break new ground in their areas of interest.